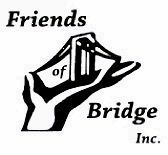 Welcome To Friends Of Bridge, Inc.
Friends Of Bridge, Inc. is a voluntary not-for-profit, community-based outpatient counseling center located in Valley Stream, New York. Established in 1970, services are provided for the residents of the South Shore of Nassau County and all of the surrounding areas. Helping our clients to achieve and maintain full abstinence. Maintaining a staff with specialized training to help clients suffering with co-occurring mental health disorders. Educating each individual about chemical dependency and other addictions. Empowering our clients and significant others to build a strong base in recovery, learning and using relapse prevention strategies. Assisting our clients in achieving and maintaining a healthy, responsible lifestyle.